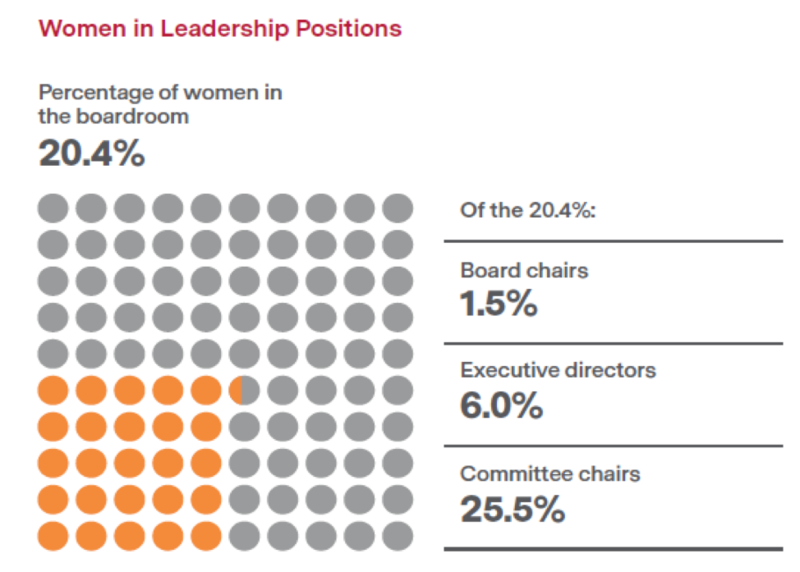 In 2018, 85% of large company boards across 44 countries had at least one woman among their directors. But women hold only 20.4% of all director seats, up from 13.6% six years ago. With high-impact weather events on the rise, natural resource scarcity increasing and the other looming impacts of climate change, boards of directors are facing intense pressure from stakeholders to get more involved in environmental sustainability governance. Environmental sustainability conversations are happening among directors, and the discussions are expected to increase. Too Focused on Management’s Views? In 2018, directors spent nearly twice as much time reviewing materials from management as they allocated to reviewing relevant information from external sources, revealing a heavy dependence on management views and analysis in fulfilling their oversight duties. However, 53% of directors indicate that the quality of management reporting to the board must improve, suggesting that boards need better — not more — information from management.